Comment: Sam Rainsy Needs to Get Heavy on the Detail. And Fast. I think George pointed out critical problem to be learned by CNRP in lifting up itself high. 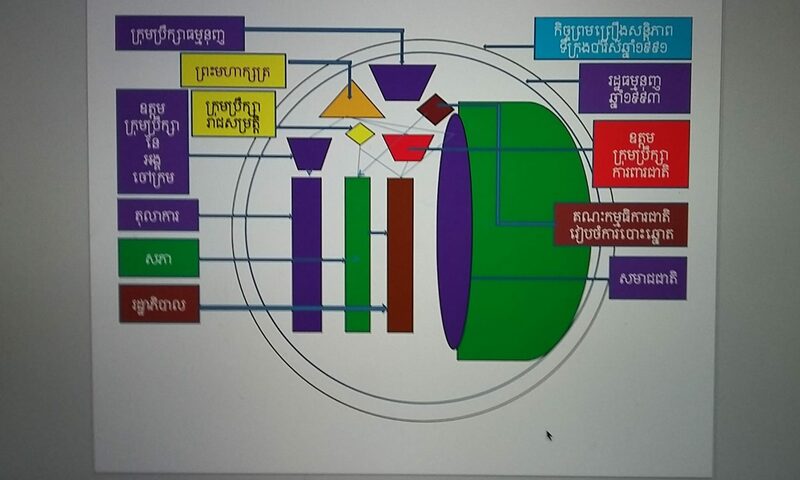 While the article is somehow incorporated by onsite view, opinion and assumption, the key issue such as strategic modeling and concrete policy of the CNRP is not articulated. As a fan of democratic movement, I am sentimental on recent development of Cambodia political landscape, I have seen clear dichotomous arguments on current political deadlock in Cambodia. I have observed that according to the struggle for civil rights and liberty, there are the same characteristic coinciding with what Ghandi said first they reject you, then they come to you, and they humiliate on you, and you win at the end. The crusade war of Sam Rainsy in striving for nonviolence culture and social justice for Cambodian people has not begun today. In 1997, he was almost murdered by the grenade attack during a demonstration to acquire justice by demanding the judiciary reform. The demonstration was not only in vain but threatening to taking his life away. We cannot imagine how tough his political life countered and encountered during these decades? How many political parties he has been expelled, he created, renamed and re-united? How many passes he must run across the border to avoid incarceration and to live a self-exiled politician? How many years of jail term he was convicted? How many sacrifice he encountered to be powerless and no-salary MP? The counting is endless and his final conviction of border scheme initially demoted him unarguably. If I could apply my course on Conflict Resolution, the ability to identify the characteristic of both contenders is, I have seen the hard and tough leadership of Prime Minister Hun Sen is a must to having a soft and most sacrificed leadership like Sam Rainsy. Too many times, I see the bargaining price of Sam Rainsy has placed himself at a less opportune scenario. Different from other past politician(s), as I know, Sam Rainsy has never surrendered to power holding that questioned his own conscience: the struggle for nonviolence and justice. Luckily, Cambodia at the present is eye-witnessing by the change of gunshot into ballot shot, from political verbal blasting on dominant media to round table meeting sarcasm. While the political campaign and the mass demonstrations have clearly demonstrated the implication of nonviolence, the deepening political reform agenda for justice and equity has delved into complex motion. It is worrisome in carrying out concrete implementation as Cambodia is not having checks and balance yet. With this prospect, the inquiry to hold assembly presidency is more important than just obtaining a TV station or the historical struggle for the reform of NEC author mentioned. While the CPP has tightly grabbed power and money in hand, this party is likely well positioned to grabbing genuine reform, the no no scenario of CNRP not to join is a self-sacrificed position. As I am worrying about the future exhausting of the MPs and its active members, the denial approach is a potential strategic one. It is not in vain because it is exactly responding to the voice of the voters and the agenda of civil rights and liberty like what Ghandi said. So the “Rallying around a single concession – such as a television station or a thorough shake-up of the NEC – will shift the emphasis from an unwinnable war to an attainable goal, and afford the CNRP the opportunity to enter government without suffering the tail-between-legs humiliation of accepting their seats having won no gains from Hun Sen to speak of” is absolutely not a complete means for REFORM, unless CNRP obtained Assembly Presidency or a more sacrifice to increase bottom line support. means they have little to point to by way of progress. million duplicate names were found on the electoral register (Mr.
an international third party now looks painfully slim. negotiations have amounted to nought. without so much as batting an eyelid. climbing the walls in a scramble for options. Cambodia a pariah state and a national labour strike. But whilst Mr.
measures might look like in the cold light of day. for the dispossessed that he purports to represent. diplomatic tap on the wrist is unlikely to engender a Hun Sen U-turn. initiate a campaign of Cambodian isolation. order by any measure and one that can’t be readily relied upon. his party’s rank and file. gains from Hun Sen to speak of. Indefatigable though he may be, reality is biting hard for Mr. Rainsy.